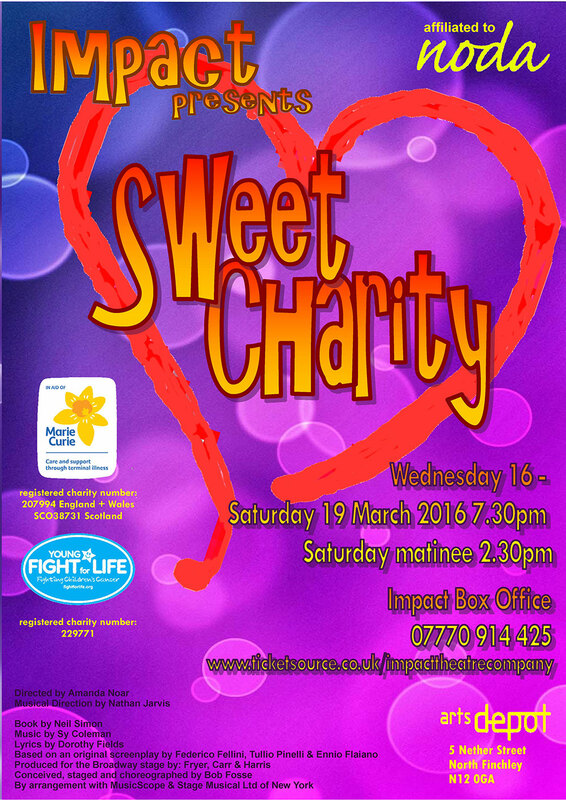 Impact Theatre is thrilled to be supporting Fight for Life through the upcoming production of “Sweet Charity”. Come and join us for fun, laughs and good times at the Arts Depot, North Finchley from March 16th – 19th, and help to raise much needed funds for a truly ‘Sweet’ Charity!! Enjoy much loved show tunes such as ‘Big Spender’, ‘Rhythm of Life’ & ‘If my Friends Could See Me Now’. We can’t wait to see you!